PS4 update beta 4.50 (Sasuke) includes new features and settings to make it more user friendly and smoother. Since yesterday, most Playstation 4 users who have signed up for the 4.50 update beta (codename: Sasuke) are now able to participate in the beta and access all new settings and features which the community have been asking about for quite a while. Scroll down for a list of all the new features and settings available. We all know that it’s quite easy to upgrade the PS4’s storage by replacing the original PS4 HDD with a bigger sized HDD, but with the new update, you can add another external 3.0 USB HDD to the PS4. 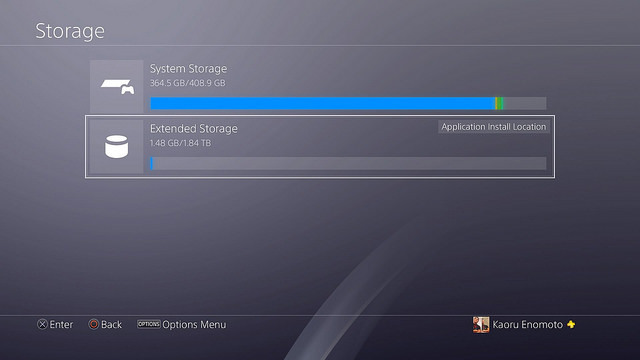 You can use HDD’s up to 8TB so wondering about how much space is left in your console shouldn’t be a problem anymore. 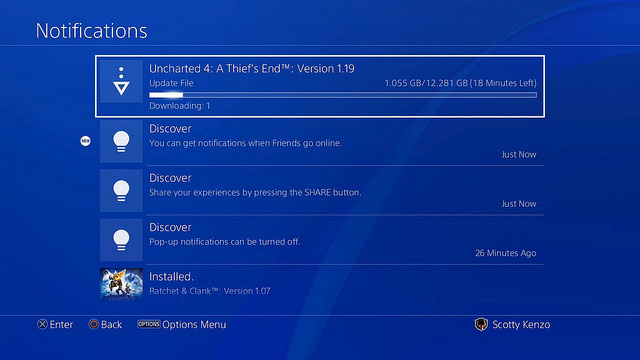 Note: user save files are still stored locally on your PS4 HDD. Only games and applications are stored externally. 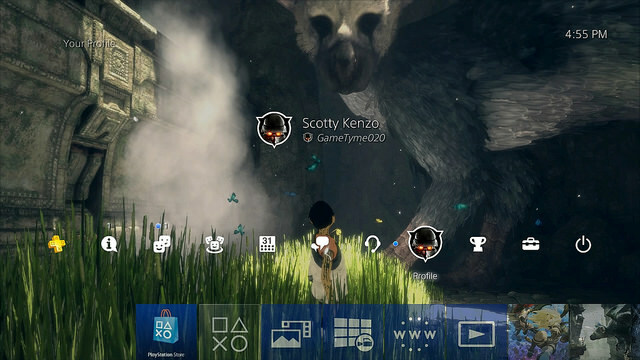 The new 4.50 update allows you to finally use screenshots or your favorite pictures stored on your PS4 as background. The text and symbols/icons will automatically adjust to the picture to make sure the text icons/symbols will stay clear even if the background is bright or makes the text unclear. You can also edit the screenshot to make it even better looking, unique or just to edit something you don’t like. In the previous update we got to meet the new revamped PS4 Quick Menu. This is the menu that shows up when you press the PS button for a longer time. The 4.50 update brings additional improvements to the quick menu making it easier to use and covering less gameplay. With the new update you can now create, join parties and invite friends via online friends without even switching screens to the party app screen. ‘’The goal is to keep you in the game — and not stuck in menus.’’ Sony said. In the previous ps4 system setting we had 5 different tabs in the notification list, making it frustrating to find a specific notification, users wanted to see all notifications in 1 place and this is why, in the new 4.50 update all notifications appear in 1 place, like many users wanted. You can also customize which pop-ups will show and which won’t. Users now have the ability to post straight into the Activity Feed. You can find the Activity Feed in a few different places including ‘What's New’ Under what’s new you can find options like posting text, screenshots and gifs into your Activity Feed. 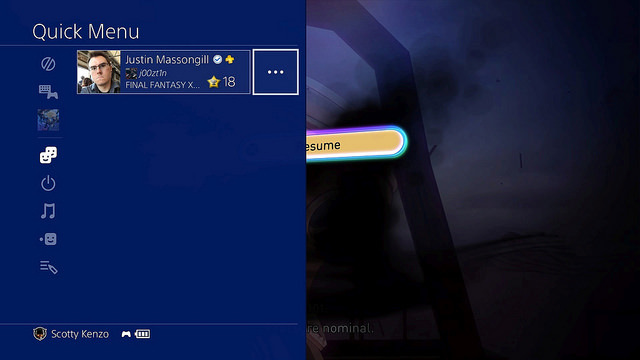 There’s also an option to tag gamers to boast your trophies, gameplay and more. The 4.50 update also adds a new feature for the Playstation VR; you can now use the VR for 3D blu-rays. 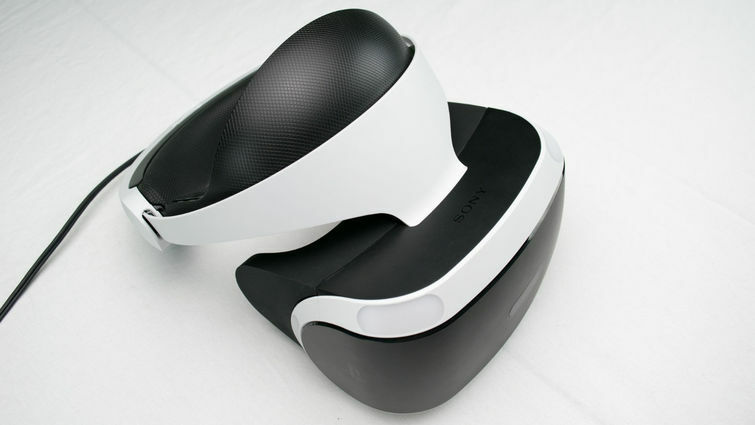 You will also of course be able to use the VR on 3D games as soon as those come out. "Boost Mode lets PS4 Pro run at a higher GPU and CPU clock speed in order to improve gameplay on some PS4 games that were released before the launch of PS4 Pro," games that have a variable frame rate may benefit from a higher frame rate, and load times may be shorter in some games too." 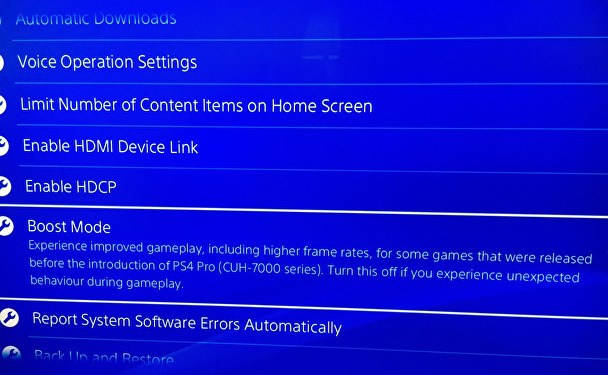 Boost Mode is one of the most eye-catching new features because this will enhance games a lot and will make games (on the PS4 Pro) and the PS4 pro run significantly faster and smoother at a higher frame rate. There are more features within the 4.50 update so make sure to stay tuned on levelcamp.com for additional information. You can find the official playstation post here.